Each year the members of St. Michael’s dedicate the Easter Offering to support our outreach activities. This year our Easter Offering will support two organizations making a difference in Toledo and beyond: Food for Thought and SewHope. Through the efforts of SewHope. 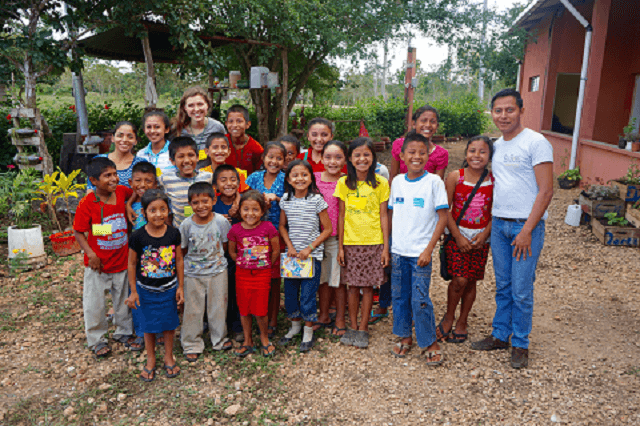 We will continue to support our two children from Peten, Guatemala, by providing each child with the opportunity to receive an incredible education. Each child will receive a uniform, shoes, a backpack, books, supplies, a daily nutritional meal, a birthday present and computer access. Our donation helps keep the SewHope program running with 2 outstanding teachers, internet access and classrooms. See more info on the Outreach Bulletin Board. We will also offer financial support to Food For Thought in providing crucial funds needed to provide services to feed our community. St. Michael’s provides hands-on Outreach to be involved with Food For Thought as well…stay tuned for upcoming opportunities. On Sunday March 11th, Jill Bunge, Executive Director of Food For Thought, addressed the congregation during the 9:45 service. She will share Food For Thoughts Mission, the many volunteer opportunities with this organization, and how our Easter Offering will be put to beneficial use. We learned that Ohio ranks 6th in the US for the number of people who go hungry and that approximately 1 in 4 Toledoans do not have enough food. Food for Thought is expanding the reach of its mobile food pantries, with a focus on bringing fresh produce to the needy. If you have any questions about St. Michael’s Outreach, involvement in the above two organizations, or may be interested in joining the Outreach committee, contact Ann Heckler.